I had the gift of a lifetime! 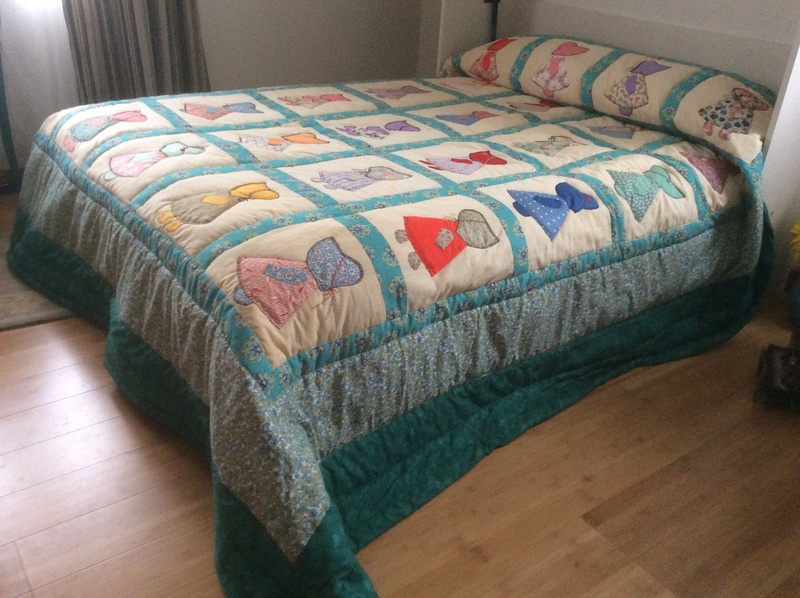 My sister bought a trunk full of quilt tops for $10 at an estate sale and gave them to me. These beautiful tops were pieced in the 1930s and 1940s. I just completed this Dutch Girl. It included 30 beautifully pieced 12″ squares on buff colored cotton sugar bags. I added borders to make it into a king-sized quilt for my son. Each square is different and meticulously pieced, a work of art.